I finished quilting my Venice block from Pat Sloan's Globetrotting block of the month. This block held no surprises for me; it let me quilt it the way I had planned. I used a Mini Scallop ruler in this video, as well as Handi Grip to keep the template from slipping on the surface of the quilt. 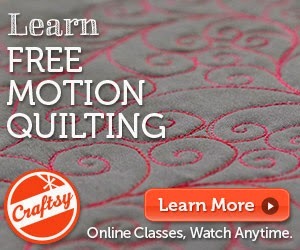 I really like this and can't wait to get started quilting Chicago!